I suppose I kind of dropped the proverbial ball there with the last couple of weeks of the tour. But if you really want to read about it you can visit SceneSC.com and read what Mitch and Daniel had to say about the last couple of weeks of our tour with Dear Future. If you’ve ever toured in a band you can relate to what I’m talking about . . . There’s this feeling when you get back from being on the road that I can only describe as “Brooks Hatlen Syndrome.” Remember in The Shawshank Redemption when the old librarian (Brooks Hatlen was his name) finally got out of jail and had the hardest time adjusting back into a life outside of prison? Well, that’s how I’ve felt since getting back to Austin (don’t worry, this isn’t a cry for help before I hang myself in a halfway house). But, I drive around in my own car, I sleep in my own horribly uncomfortable bed, I hang out with the same people each day. It’s strange. It takes some getting used to. Only now am I getting back into the swing of things. 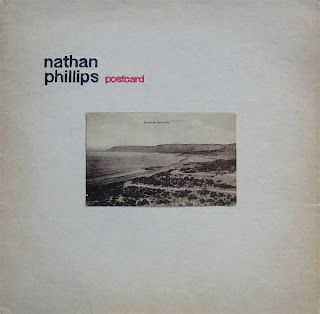 Also, I just got the new Nathan Philips record! He used to be in The Winston Jazz Routine, and he just realeased his first record under his own name. Give it a listen. I love you. See you Friday. Neither Shall You Steal . . .